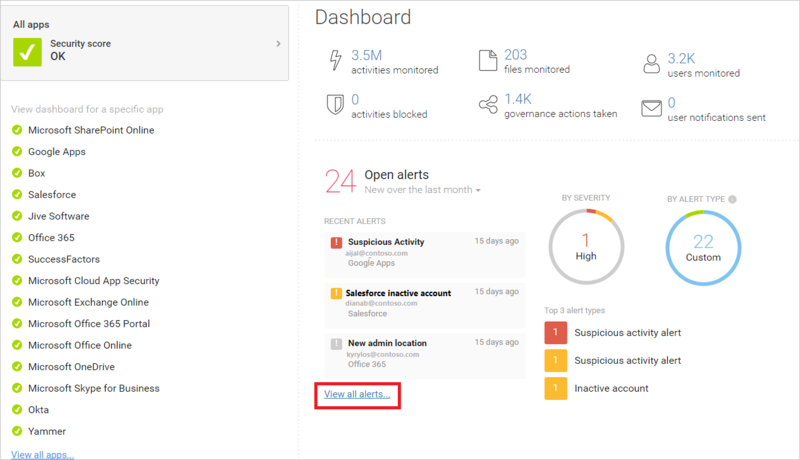 Set up policies to monitor your cloud environment. You can then use Cloud App Security to control and protect your cloud and manage risk. We recommend you check the dashboard daily to see what new alerts have been triggered. It's a good place to keep an eye on the health of your cloud environment. The dashboard helps you get a sense of what's happening.